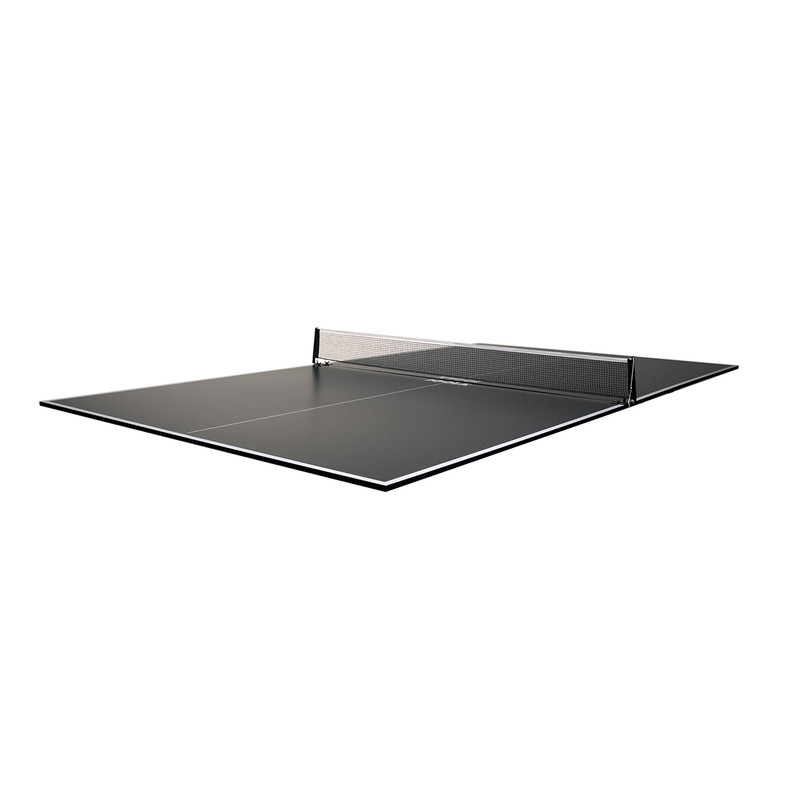 The ideal option for converting your existing billiard table into a full functioning table tennis table. The Conversion Top comes in two separate halves to make set-up easy. 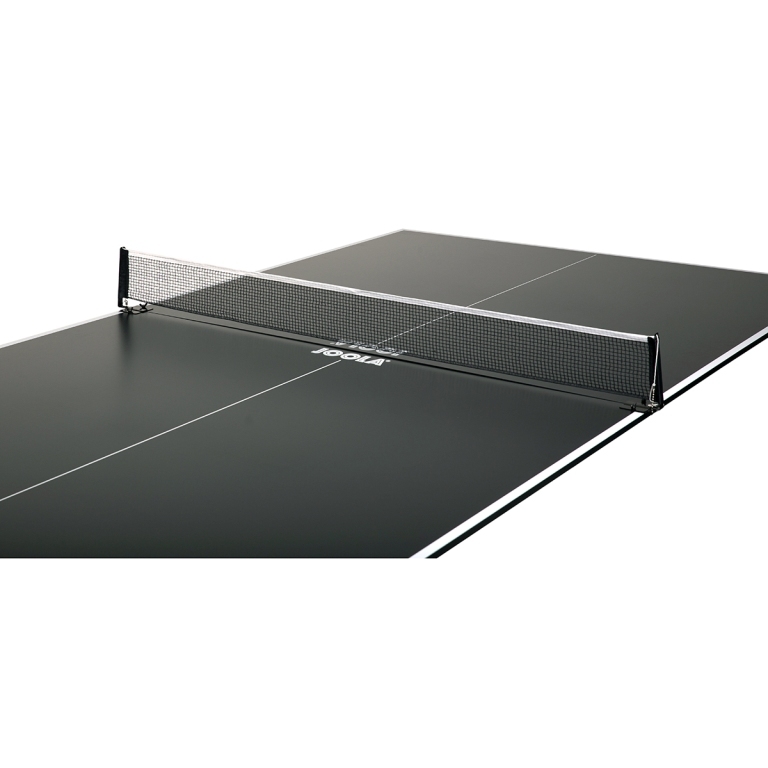 The table tennis table is made of 5/8 inch (15mm) MDF with a sleek, charcoal black painted surface. 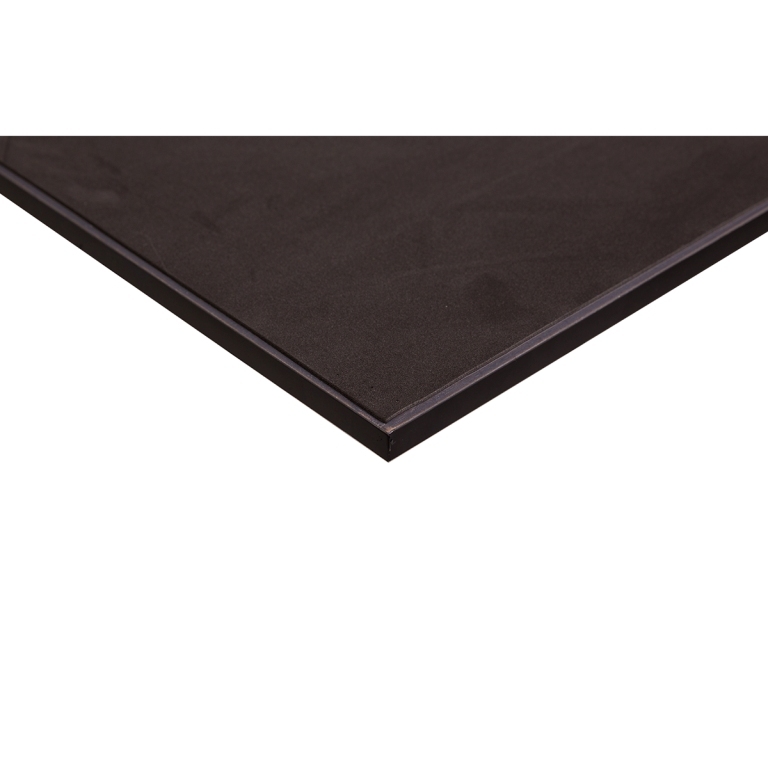 This high-quality JOOLA surface is a key component in creating a consistent ball bounce and preventing warping. The underside consists of a soft EVA foam padding that creates a protective cushion between the billiard table and the conversion top. Recommended for billiard tables from 7 to 8 feet in length. Included: High Quality Net & Post Set.